Why are black holes so camera shy? Snapping a picture of a black hole is not as easy as taking a picture of your dog, or even another planet in our solar system for a couple simple reasons. A photograph is taken by letting light reflected from what you are photographing stream into the lens. A black hole has such strong gravitational effects on space-time that not even light can escape. No light means no black hole photos. So how were scientists able to “see” the supermassive black hole at the center of the M87 galaxy 53 million light years away? It’s worth going back a few steps. After Einstein published his general theory of relativity in 1915, black holes were shown they could exist theoretically. Astrophysicists have relied on indirect observational evidence to prove they exist. For example, these stars are orbiting something massive, yet invisible, in the center of our galaxy, the Milky Way. This is strong evidence there is a supermassive black hole in the center of our galaxy. In 2014, astrophysicist Kip Thorne teamed up with the visual effects team of the blockbuster hit Interstellar to provide what was the most detailed graphical representation of a black hole to date using theoretical computations. Research that led to the visuals created during the making of the film helped astrophysicists learn more about the properties of black holes. In 2015, black holes were observed in a different way when, for the first time, NSF’s Laser Interferometer Gravitational-Wave Observatory (LIGO) detected the gravitational waves from the merger of two black holes 1.3 billion light years away. Even though there were lots of indirect observations of black holes, there had been no direct detection of a black hole…until now. The Event Horizon Telescope (EHT) used eight telescopes placed around the globe to create an image of a black hole from the combined radio wave data collected from all of these telescopes. 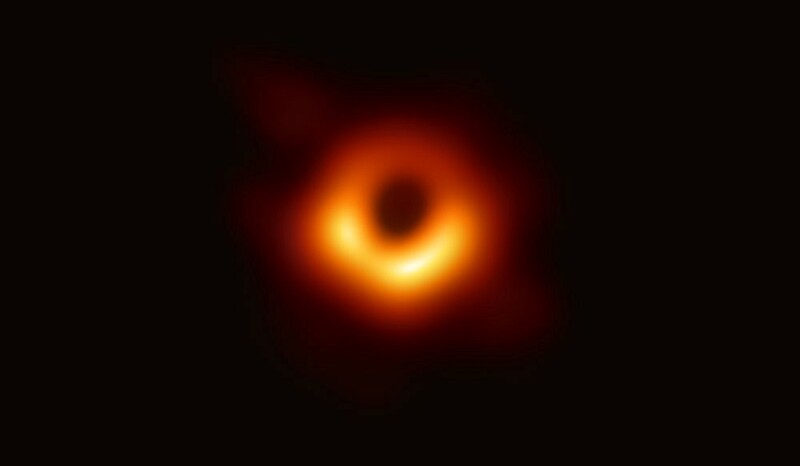 It is still impossible to image the actual black hole (again, that intense gravity let’s nothing escape) so the data being collected is light from the material around the event horizon of the object — the “point of no return” of a black hole. What we are seeing is truly the silhouette of a black hole. This is what it is like to stare directly into the void. The National Science Foundation is the single largest funder of the EHT project. By investing in projects like EHT and LIGO, NSF’s long-term investments in research infrastructure and curiosity-driven research lead to paradigm-shifting discoveries.